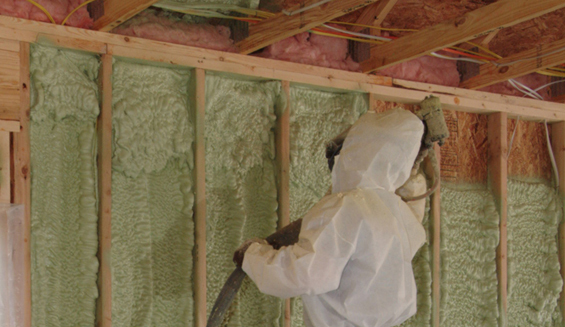 Green Earth Services of Hunstvile offerss spray foam insulation that without HCFCs, VOCs and Formaldehyde. Green Earth Services spray foam insulation systems help keep the entire indoor environment free of toxins. We offer "environmentally green" spray foam insulation that prevents mold, mildew and moisture invasion and will not "off gas". It creates a sealed envelope adding strength to the structure itself while keeping the bad air out. Call Green Earth Services of Huntsville today for a free on-site quote and find out more about the benefits of our spray foam insulation systems. Not only will your home or business be quieter and safe from insects, moister, mildew and other air toxins, you will see a dramatic reduction in your energy bills.